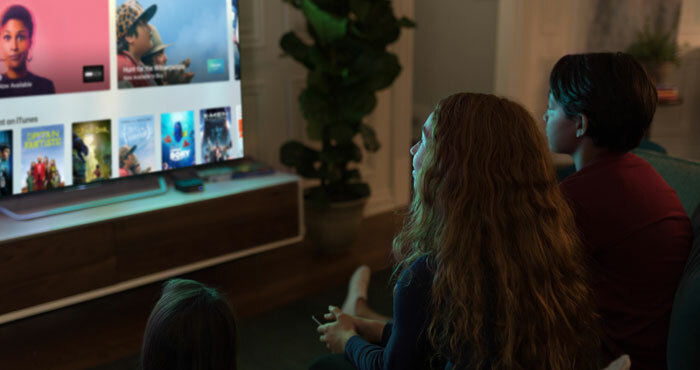 Apple TVand its tvOS didn't take the spotlight in Apple's recent WWDC keynote presentation — and, perhaps, that’s for the best, because it would be hard to compete with the rest of the day’s news. WWDC brought us new MacBooks, iMacs and iPad Pros, plus the all new macOS High Sierra and iOS 11. With all of that on the table, it’s no surprise that Apple TV was pushed to the sidelines. But there was one bright spot of news for the Apple TV, and it came from an unlikely source: Amazon. Apple and Amazon have been feuding for years, and Apple fans have been caught in the middle, without the ability to access Amazon's digital video library from their Apple TV. This fall, that will be no more as an Amazon video app will finally arrive on Apple TV. So what's next for Apple TV? Apple was quiet on hardware or software updates for the device: tvOS was last updated in 2016 while Apple TV hardware hasn't been refreshed since 2015. For Apple, which tends to update hardware every couple of years, that's a long time. Apple did promise that we'd learn "a lot more about tvOS" later this year, so it will be a while before we hear anything more about Apple TV. Whether that means we get an update to tvOS or a full-scale update of Apple TV hardware is still up in the air. In the meanwhile, look for Amazon Prime Video to arrive on Apple TV this fall, and you can grab the latest Apple TV for $149 (32gb) or $199 (64gb). Both are perfectly good streaming players, and adding Amazon to their cadre of streaming options will only make them better.